Caregivers, both those who are hired and those who are part of the family, are often integral to a senior’s ability to remain comfortable and healthy while living at home. Because of this, it’s important to let them know how much their work is treasured. 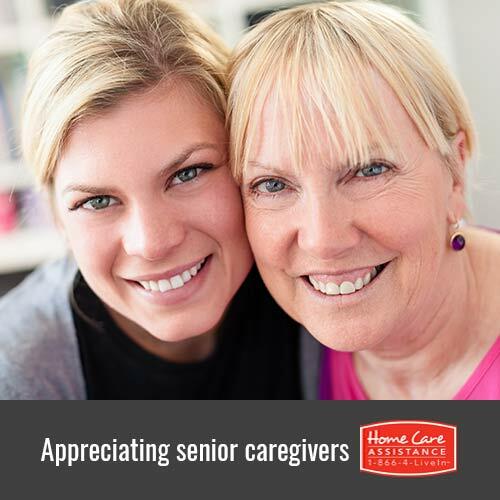 No matter how big or small, your elderly loved one’s caregiver will be happy to receive a special gift. Make a personalized gift basket with items specific to the caregiver’s interests. This can include desserts, coffee mugs, and decorative items for his or her home. Include a personalized card to complete the basket and thank your loved one’s caregiver for his or her hard work. You’ll get to know your loved one’s caregiver more and can say thanks for everything by taking him or her to lunch. Spending time with the caregiver will show you take an interest in who he or she is and that you are grateful for the efforts to promote your loved one’s wellbeing. Make it a point to take the caregiver to his or her favorite restaurant and express your gratitude over the meal. Treat your loved one’s Guelph caregiver to coffee or an item from his or her favorite store by giving a gift certificate. This is a great way to thank the caregiver for his or her positive presence in your loved one’s life. It will make the caregiver feel appreciated and give him or her the freedom to handpick a specific item he or she can use. When you want to show your appreciation for your loved one’s caregiver, consider writing a letter to express your feelings. Take your time going into detail about everything the caregiver has done for your loved one and how you’re thankful for his or her hard work and dedication. A bouquet of flowers is a classic and sophisticated way of showing your gratitude for the caregiver’s services. 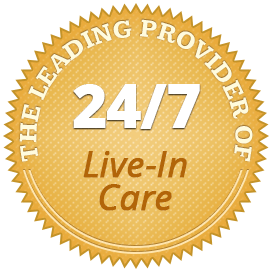 You can bring the flowers to the caregiver while he or she is providing Guelph home care for your loved one or even have them delivered to his or her front door. Many seniors have a better quality of life when they are able to age in place with the help of a professional caregiver. If your loved one needs additional help around the house with cooking, cleaning, bathing, and other important tasks, reach out to Home Care Assistance. All of our caregivers are trained in the Balanced Care Method, an evidence-based program that encourages healthy lifestyles for the elderly. We also offer Alzheimer’s, post-stroke, and Parkinson’s care Guelph seniors and their families can rely on. For more information and to schedule a free consultation, call one of our friendly Care Managers at (519) 954-2111 today.